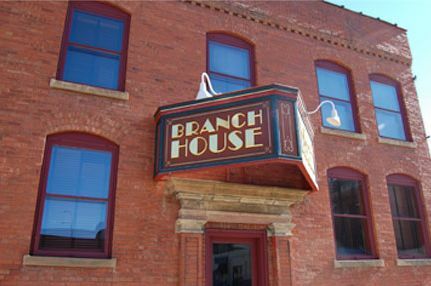 The Branch House is at a quiet location a bit off Main Street with convenient parking. Renovated in 1996, the Branch House was once an icehouse. 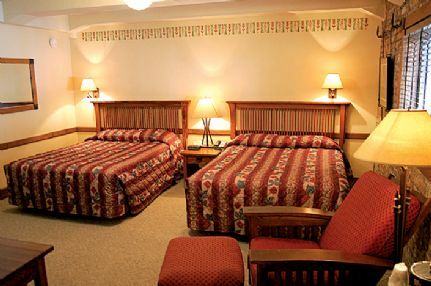 The building has eight deluxe rooms available, each one a different floor plan. 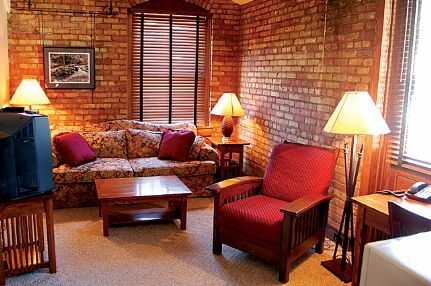 The charming rooms have a very warm feeling with natural brick interior walls. 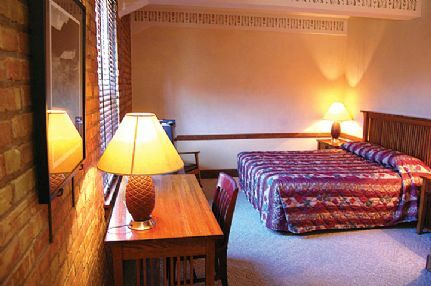 All rooms are done in Mission-Style décor, down to the hand-painted stenciling. Because the building was originally built 100 years ago in 1912 as the Armour & Co. 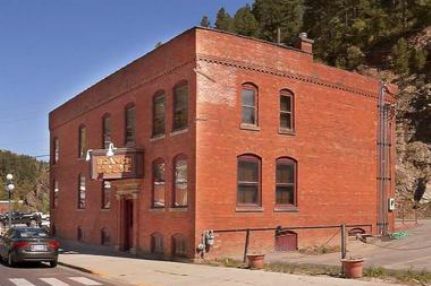 Branch cold storage food warehouse and completely remodeled in 1998 as hotel rooms it is extremely well insulated and quiet. 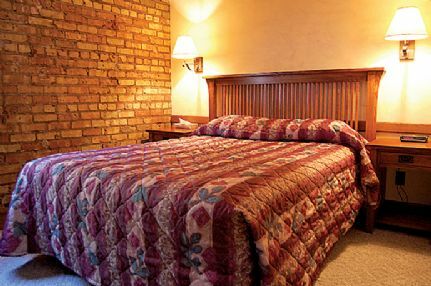 Each room has a coffee maker, hair dryer and cable TV with free HBO. The lower level houses a private conference room that holds up to 15 people. This is the perfect location for that small group retreat, get-togethers or family reunions!